Flipkart is well-known for its Big Billion Days, a bonanza for consumers where the e-tailer doles out heavy discounts on products. On the funding front, Flipkart has had a number of big billion days as it became India's most valuable startup over the years. Since receiving a cheque of around Rs 10 lakh from a couple of angel investors in early 2009 and a $1-million infusion from Accel Partners in the same year, Flipkart has gone on to attract investment from several marquee investors across the world, including Tiger Global, Naspers, Yuri Milner’s DST Global and more. By 2012, the Bengaluru-based firm had joined the elite club of unicorns—startups valued at $1 billion or more—when it received $255 million from Iconiq, Accel Partners, Tiger Global and Naspers. Just two years later, Flipkart's valuation had soared to $7 billion when it received $1 billion from a clutch of investors including Morgan Stanley, Sofina, and DST Global among others. Fifteen months later, its valuation had more than doubled to $15.2 billion. Subsequent funding rounds saw that figure drop, but Flipkart still managed to get nearly $4 billion in investment over the course of four months last year. 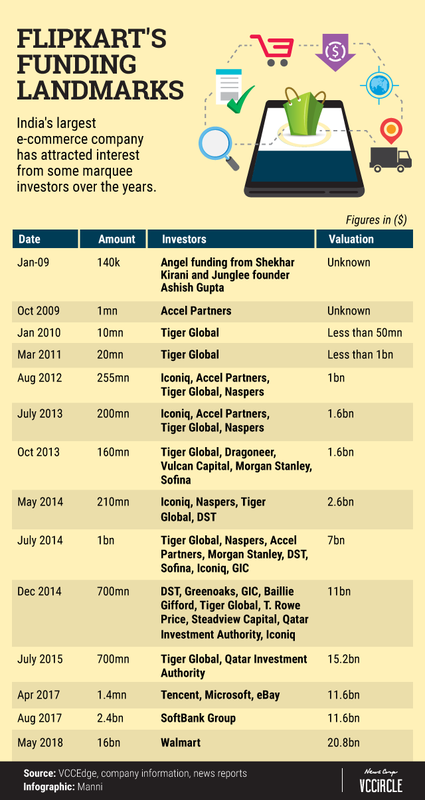 However, if you turn back the clock, Flipkart had almost hit unicorn status in 2011. The homegrown e-commerce major was close to raising $150 million from private equity firm General Atlantic Partners. The transaction would have valued Flipkart at $1 billion. However, the deal fell through as at that time, there was talk about how such a small firm could command such a high valuation. 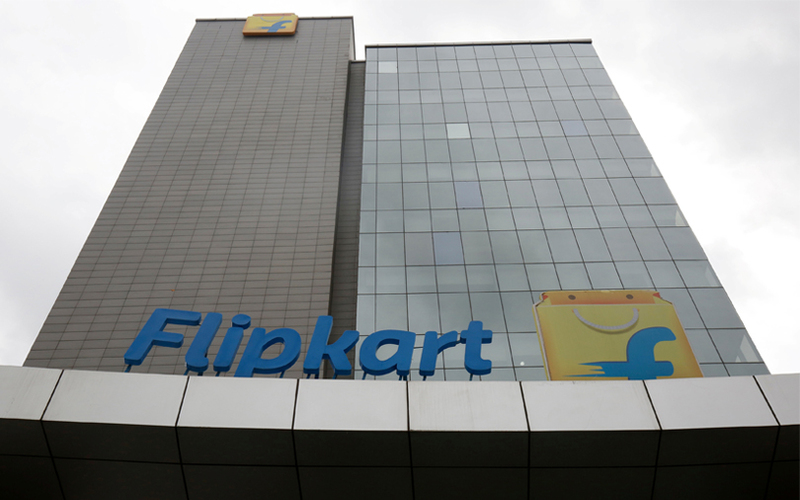 Now, as Walmart acquires a majority stake, Flipkart will further cement its status as India's most valuable startup.